To be successful, a program must have active care management, which is more than just getting the right people to the right services. It’s monitoring progress and ensuring that changes are effected when needed. Traditionally, the care manager coordinates behavioral and medical visits and services within the primary care site, ensuring that clients receive the treatment they need and that treatment plans involving multidisciplinary involvement are carried out with appropriate linkages. 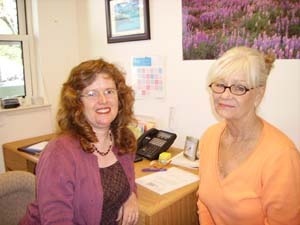 As the mental health system embraces the psychosocially-based recovery model to an ever greater degree, some clinics have extended care management beyond the scope of their own clinics, ensuring that clients are made aware of outside resources and making appropriate referrals to other agencies and organizations in a position to help them. The care manager’s role in the IMPACT model focuses on monitoring the client’s progress, via repeated standardized assessments, to evaluate the effectiveness of current treatment, and recommending changes in medication regimen and/or psychotherapy approaches if established improvement thresholds have not been met. See Stepped Care. Maintain ongoing tracking and appropriate documentation on referrals to promote team awareness and ensure patient safety. This tracking may use an IT database. Contact review organizations and insurance companies to ensure prior approval requirements are met. Present necessary medical information such as history, diagnosis and prognosis. Provide specific medical information to financial services to maximize reimbursement to the hospital and physicians. Identify and utilize cultural and community resources. Establish and maintain relationships with identified service providers. Remind patients of scheduled appointments via mail or phone. Ensure that patient’s primary care chart is up to date with information on specialist consults, hospitalizations, ER visits and community organization related to their health. The depression care manager educates patients about depression and its treatment, provides behavioral activation, monitors depressive symptoms and response to medication and/or psychotherapy using a structured instrument (e.g., the PHQ-9), works closely with the primary care provider and a consulting psychiatrist to revise the treatment plan when patients are not improving, and offers a brief course of counseling for depression (e.g., Problem Solving Treatment in Primary Care. Degree in nursing, social work, marriage and family therapy or psychology. Effective written and verbal communication skills. Demonstrated ability to establish rapport quickly with a wide range of people. Minimum two years clinical experience in a relevant setting. Knowledge of community resources. Experience with depression and depression treatment. Experience working with medically ill and/or older adults. Prior exposure to brief, structured counseling techniques. Project Vida Health Center in El Paso has agreed to share their Care Manager description. The Wellness Coalition from Montgomery also is allowing us to post their Wellness Case Manager and Wellness Advocate job specifications. Also included is the “Embedded Integrated Care Coordinator” job description created by the Providence Center in Providence, RI.